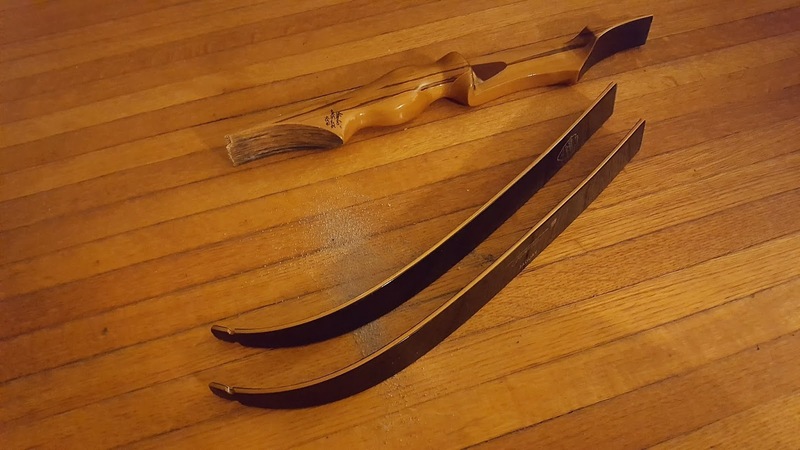 Design wise it is a Eastern Woodlands Flatbow, a style of bow popular amongst Native Americans on the East Coast. Bow and bowstring in mint condition. Inquiries from Toronto, Canada welcome. I am selling it locally. I have no interest in shipping it. 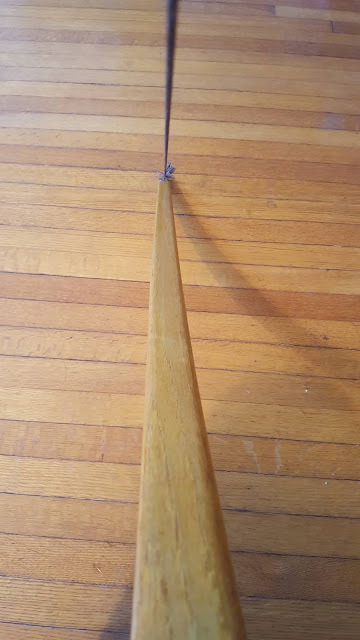 I am selling this bow and possibly several other bows, including a vintage longbow from 1952, because my wife won't let me buy any new bows until I sell some of the bows I don't use that often. And since I don't use this bow that often, or the vintage bow from 1952, I have decided to sell them both to make room for new bows on my wall rack. 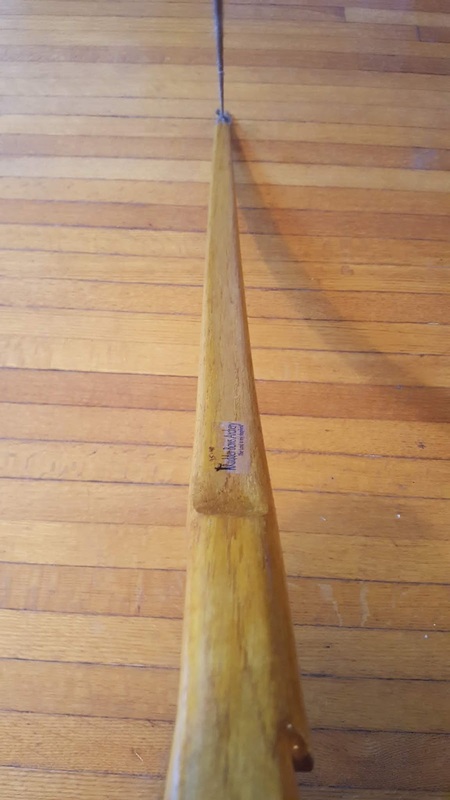 The 1952 bow is a black "Roy Rogers" collectible longbow for children. It really is meant for a kid who is between 5 to 10 years old. I am selling it for $100. No photos yet. That is on my To Do List for later. Above and below are photos of a homemade crossbow which were posted on Facebook (I don't know who the original creator was). What is interesting however is how they used decorative leather on the crossbow limbs and also on the foot stirrup. I also really liked trigger, as it looks like it was handforged out of iron. Altogether this is awesome looking crossbow. Just look at the stitching on the leather! A few years ago I found a broken Stemmler recurve bow in the garbage at the Toronto Archery Range. At the time I decided it was worth salvaging. Possibly to repair it or turn it into something else. 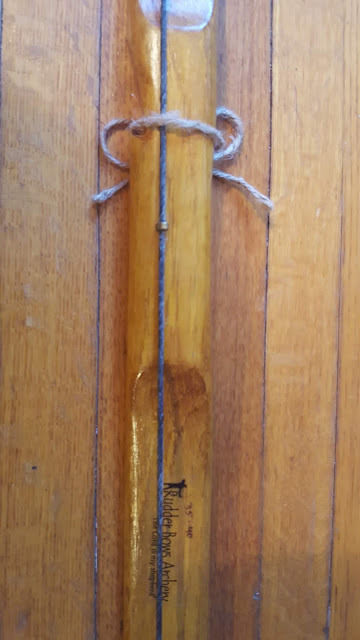 Years later, I am currently working on a new project to turn the old broken Stemmler recurve bow into a homemade crossbow. 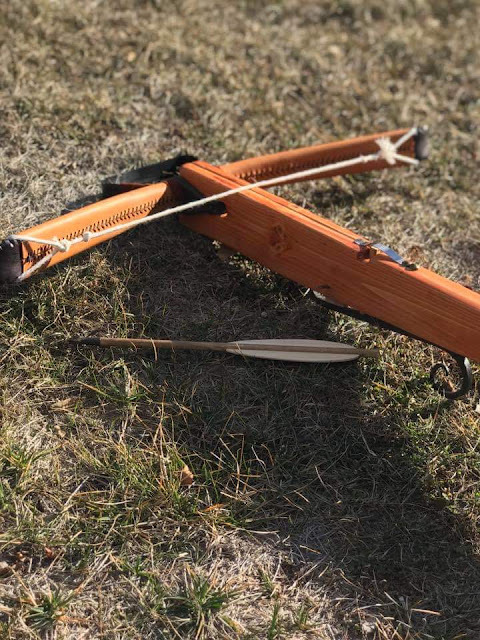 Hence the title: The Homemade Stemmler Crossbow. Part I. It is going to take multiple posts to cover this story. Subscribe to Project Gridless if you want updates for when more posts on this subject appear. 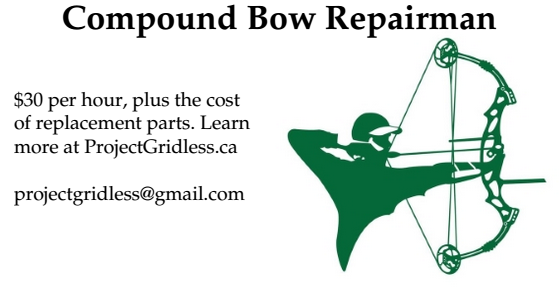 I will likely do a video of the finished crossbow too, so you can also subscribe to Project Gridless on YouTube. My goal is to make it into a folding crossbow, so the limbs can unlocked from their position and be folded towards the stock for easy transport. It won't be very powerful (the original limbs were 45 lbs) and I am using part of the working limbs to attach it to the stock, so I am losing about one fifth of the working limbs. 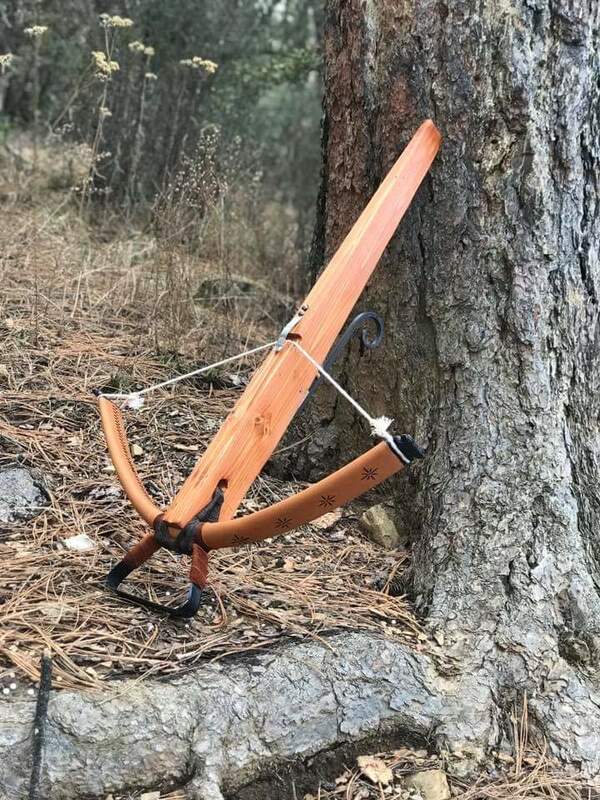 When it is eventually a crossbow it will also be losing a good chunk of its draw distance, so I am expecting the final crossbow to only have a draw weight of 25 lbs - which means it will effectively be a toy crossbow. Below you can see the two broken pieces of the Stemmler, and see where the upper limb snapped off from the previous owner. Was it old? Did the previous owner overdraw it? Who knows. We shall see what happens. Using a saw, I trimmed the broken limb for a smoother edge. I then measured it compared to the other limb and cut it in the same location, so both limbs are now the same length. I still need to epoxy part of the broken limb as part of it has delaminated. 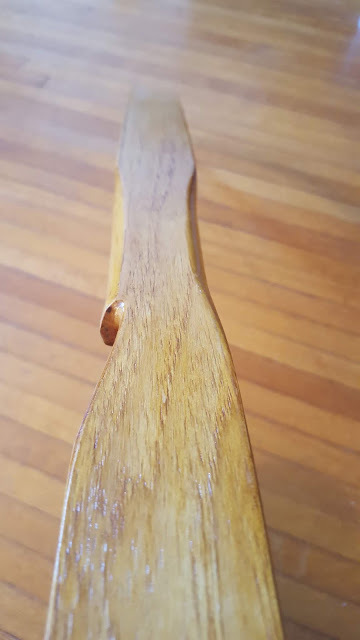 I will also need to reinforce part of the working limbs, as putting pressure on that section without reinforcement could cause it to snap again. 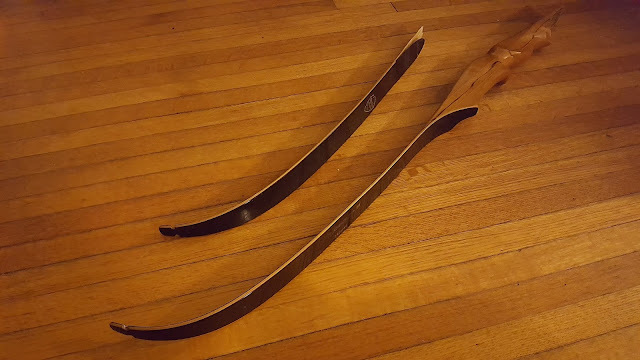 So the section of the working limb where it will be attached to the crossbow stock needs to be reinforced - I am thinking of using oak, and I am thinking I should reinforce both the front and back. Once that is done I need to drill holes for bolting it to a mechanism for attaching to the crossbow. The mechanism needs to be able to be locked into position, and to be able to be easily unlocked. So I need to research possible designs. I am currently thinking of using a steel deadbolt approach. 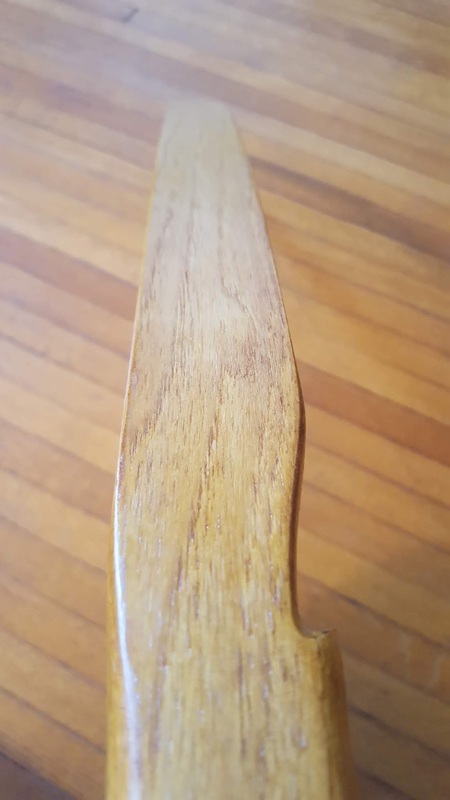 I have a stock I was making for a different crossbow I could use. But I am also thinking maybe I should make a new stock just for this project, and use a different style of trigger mechanism this time around. Previously I have used a drop-pin mechanism, but now I am thinking I should try using a Roman-style rolling trigger. If I do make a new stock, I think I will make this stock wider than last time by laminating two pieces of oak together. It will be more comfortable to shape the handle and stock. I could also in theory use a spring-loaded trigger, but I worry the spring would not be strong enough. Plus springs get weaker over time, and I would prefer a mechanism that doesn't need a replacement spring years later. I am thinking I will use a steel stirrup this time around, for faster reloading - and it will double as a bipod for more accurate shooting. I also want it to fold for easy transport too. Brass sights. Yup. I wanna make a brass sight for this one. Should be fun. V-shaped sights. Yes, what you are reading above is basically a To Do List / Checklist for my own personal use. I find this is useful during the design process so I can plan out each stage of a project. Helps get it done faster by creating goals I can set and then do.